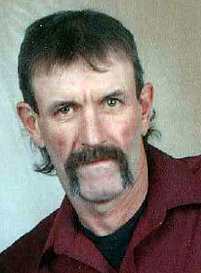 Graveside services for Hal Dean Young, 59, Pottersville, Missouri, will be held at 2:00 p.m., Saturday, March 30, 2019 at Ledbetter Cemetery, under the direction of Robertson-Drago Funeral Home. Mr. Young passed away at 6:50 a.m., Tuesday, March 26, 2019 at his home. He was born November 24, 1959, at West Plains, Missouri, to Thomas Henry Young, Sr. and Joyce Arnold Young. Mr. Young was a farmer and a construction worker. He loved being outdoors, horseback riding and spending time with his grandchildren. He is survived by two children, James Young and significant other, Daniece and Mindy Howell and husband, Joe, all of Pottersville; nine grandchildren, Dylan, Morgan, Jacob, Kaitlynn, Hunter, Mikayla, Peyton, Kylie and Lily; his parents, Thomas and Joyce Young, Pottersville, and one brother, Henry Young and special friend, Anita, West Plains, Missouri. Memorial contributions may be made to the Family and may be left at Robertson-Drago Funeral Home. Our most sincere condolances to the Young Family for the untimely loss of Hal, Son, Brother, Father, and Grandfather. I don’t think God intended that we should have to bury our children. It is such a sad occasion when it happens. Our hearts and prayers are with you during this time. So, sorry to hear of Hal’s passing over to the other side so young. Hal was the most talented man, along with his brother Henry I have ever known. Several yrs ago now my ex-husband Bill Beaty were in need of a good roofer; As our old metal roof on our house which was over a 100 yrs old had rusted through. We went to C-meeks and ask Mger/friend Bobby Joe Green whom he would recommend to us. He said without a doubt, the Young Boys. Henry & Hal. Gave us their phone # and we called. And as they say the rest is history. Our old house was what they call story and 1/2. Bill and I was having to borrow money to have old roof thrown off and all new put on anyway. As they had to go all the way to the rafters. So Hal was looking at the front of the house, and said,” Have you all thought of putting on a wrap around front porch.” I said, “oh, I’d love it can you all do the work?” He laughed and said,” Does the bear go potty in the woods?” I ask then if he could not only put on the front porch but add a carport too.” He said, “I think ole Henry and I can do it.” Hal and Henry worked for me. As Hal said if Mamma ain’t happy no by happy. He worked from the top of his head. No blue prints, will really no prints at all. He ask me what I wanted. Then he would tell me what they would do. It turned a bland old farm house in to a beautiful Home. When my husband wanted to go to TX in 2005. To be closer to my oldest, Elaine Cozort Lippincott and 2 small granddaughters. We put the house up for sale ourselves. Sign out front. Ad in Horse Trader&Quill. Guess what. It sold within a week. Mainly because of the porch/carport. We got a lot more than we thought we would get also. We had people tell us we were trying to sale in the wrong time of the yr. in Nov. We had it priced too high . But the Guy that bought it really did on the first time he saw it. Just needed to get with his bank. Have it appraised, the normal things to be done. Needless to say, Bill and I had to run to TX, Katy,TX and look for a house or we were going to be homeless. We looked at over 50 homes in 2 days. Finally I said enough. They are all running together. So, we picked out 3 we liked best from the ones had had toured. The next day we bought. Again, all due to the talented work of Hal & Henry. Go rest High on the Mountain, friend, Your work on earth is done. Go to Heaven a Shouting for the Father & the Son. The family are in my thoughts and prayers. Kathy “Katie” Beaty Class of ’75. West Plains Web Design — West Plains Web Design.